Posted 03.07.2017 - Frank Borg, Chairman of The Maltese National Canine Federation, represented Malta at the World Congress Of Kennel Clubs, organized by the Kennel Club, (U.K), in London, between the 27th - 29th June 2017. 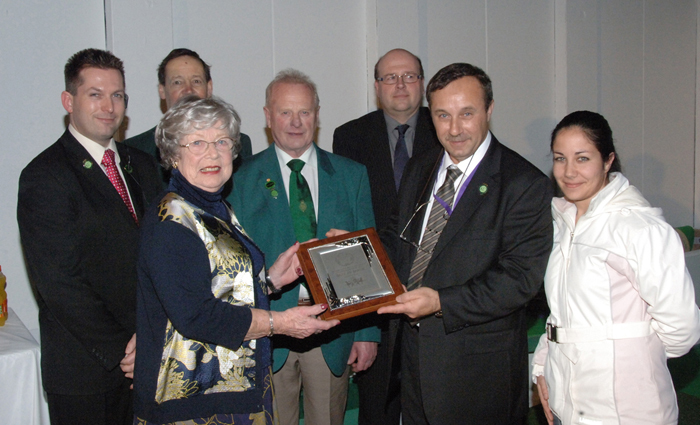 The Maltese National Canine Federation's Chairman, Frank Borg, was invited by the Kennel Club's (U.K) to present the Gundog Group Trophy at Crufts 2015. Another milestone for our Federation since this shows the close relationship that exists with the K.C. 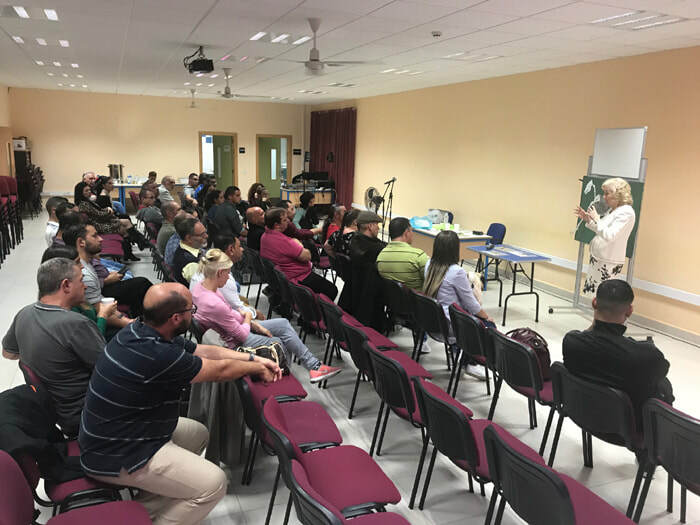 The Maltese National Canine Federation is holding an information seminar for all those interested regarding the new legislations now in force regarding the sale of dogs in pet shops and also about the forthcoming legislation on dog breeders. • Joseph John Vella – Director of Animal Welfare, Promotion and Services. During this meeting, the above mentioned speakers will give details of these new legislations and how they will affect the dog breeder in general. May we urge all those attending to be there at least by 6.45pm as the meeting will commence at 7.00pm sharp. Entrance from the gate opposite Maypole Confectionery. The Maltese National Canine Federation endorses Dogs Trust Malta's Puppy Plan. In the last four years, Dogs Trust Malta (forming part of the UK’s largest dog welfare charity) have concentrated their efforts in providing people with information and means to neuter their dogs in order to reduce the number of unwanted litters that continuously populate the rescue shelters. This has applied to those who do not wish to breed their dogs, cannot afford to do so or have questionable reasons for breeding. The worrying trend recently is that even abandoned purebreds are on the rise. Our most recent campaign showed that many behaviour problems encountered by owners could have been easily prevented in the first 8 weeks of the dog’s life. This coupled with some unscrupulous breeding has meant that some breeds have been overbred and are losing their prestige. In order to curb this, Dogs Trust will be launching The Puppy Plan in Malta, following its successful launch in theUK which is now part of the Kennel Club’s Assured Breeders Scheme. In working with the local breeders we aim to raise the standard and in so doing discourage amateurs from breeding irresponsibly who have poor standards both in socialisation and their breeding stock. This has cast a negative light on breeders, even the most responsible and ethical ones which is unfair. By following the Puppy Plan, which is a comprehensive step-by –step socialisation and habituation programme for the puppy’s first 16 weeks of life, new owners are assured of best practices and the value of these pups will rise, thus giving little opportunity to back yard breeders to make business. We would like to launch this nationwide campaign to potential new owners in the New Year. It is therefore envisaged that the next few months will be useful for professional breeders to put this plan into action. Dogs Trust Malta would like to extend an invitation to all professional breeders to attend a one day seminar, packed with interesting facts which can help your practice be more efficient, lucrative and competitive. Dogs TrustMalta together with the Maltese Canine National Federation are organising this one day seminar in October FREE of charge to the Maltese Canine National Federation. Please find the details of the Puppy Plan and registration form by clicking HERE. All applications must be submitted by Friday 20th September 2013. Eman Spagnol being presented with the Junior Handler of the Year Shield by Frank Borg, Chairman of the Maltese National Canine Federation in the presence of Mr.Frank Kane, judge of the December 2012 Annual Show. THE MALTESE NATIONAL CANINE FEDERATION PRESENTS A BEST IN SHOW TROPHY TO THE MIDLAND COUNTIES CANINE SOCIETY. 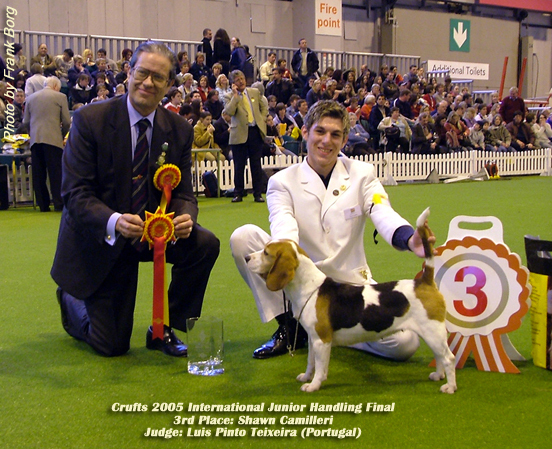 Midland Counties has been sponsoring the Maltese Junior Handler for the International Junior Handling Competition at Crufts since 1999. Mizzi (Right). 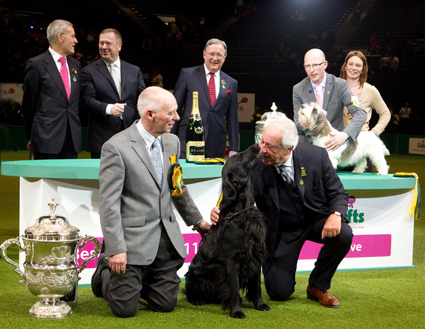 The presentation took place during Crufts 2011. This presentation was done to show the MNCF's appreciation for the support given by the Midland Counties Canine Society towards our Junior Handler, and to celebrate the strong relationship that exists between the two Societies. The Frame will be awarded annually to the Best In Show winner of the Midland Counties Championship Show. MALTESE JUNIOR HANDLER REPRESENTATIVE AT THE INTERNATIONAL JUNIOR HANDLER COMPETETITION HELD DURING THE WORLD'S GREATEST DOG SHOW - dfs CRUFTS 2011 AT BIRMINGHAM, ENGLAND. dfs Crufts 2011 was held at the NEC, Birmingham, between the 10th and 13th March 2011. Around 138,000 people visited the show over the four days to watch the 21,422 dogs coming from all over the World competing for the much coveted title of Best In Show of the World's greatest dog show. Dr. Paolo Dondina, from Italy, judged the Best In Show and chose Mr. J M Irvine's Flat Coated Retriever, Sh.Ch.VBOS THE KENTUCKIAN also known as Jet, amongst a number of favourites forming the best in show line-up in a packed arena. 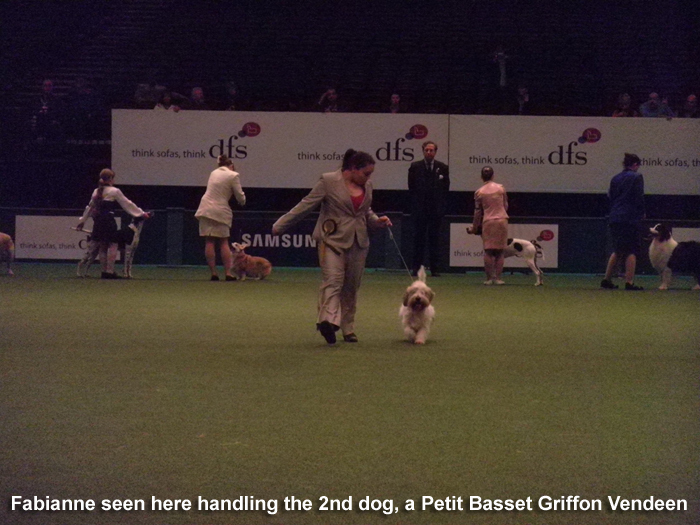 Reserve Best In show was G&S.Robertson's Petit Basset Griffon Vendeen, Soletrader Peek A Boo. The Maltese National Canine Federation (MNCF) wants to clarify certain reports that were reported recently in the media regarding the officiating of a Maltese breed, il-Kelb tal-Kacca ta` Malta, which the Federation itself recognised late last month. It was recently reported that FKNK were surprised at the way things were conducted, and how the MNCF took matters in its own hands in making the il-Kelb tal-Kacca ta` Malta an official breed. In view of all this, one should note that the set up and recognition of a breed standard is the sole responsibility of a Canine Federation, so is the issue of Pedigrees. In spite of this however, the MNCF still involved FKNK from the very start of this process, as we thought that the FKNK would have an interest in this matter and this would enhance the process. 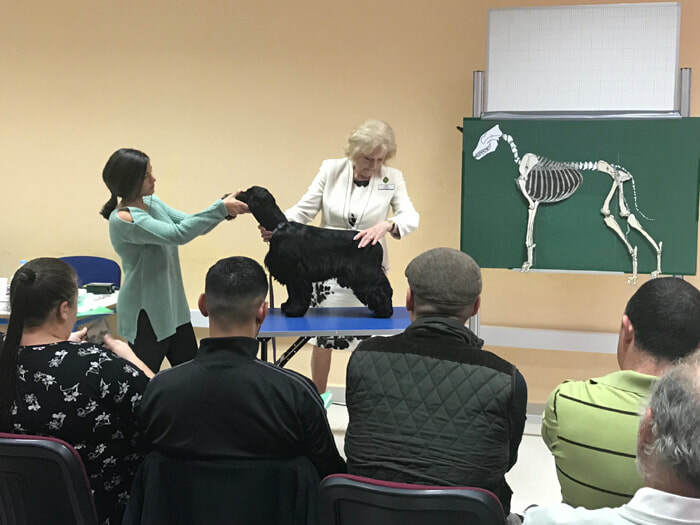 A meeting was set up a couple of months ago between FKNK and the MNCF in which the breed standard was presented, discussed and explained to the FKNK representatives by the person commissioned by the MNCF to write the breed standard. It was made clear that the MNCF will be officially recognizing the breed and starting the registration process for such dogs. The FKNK representatives accepted this offer and said they were willing to be involved in this matter. They said that they would be calling a meeting for their members who owned this breed to urge them to register their dogs. It was agreed that the FKNK would get back to the MNCF at their earliest with the outcome. When, after a couple of months, no contact was made from the FKNK part, members of the MNCF contacted them again telling the former that all was ready to proceed with the next step that of registering the first dogs. This was followed by a reply stating that they did not want to rush in this matter. This left the MNCF no option but to proceed on its own, which after all, it has a right to as a Canine Federation. As a Federation we had hoped that together with the FKNK most of these dogs could be registered. In fact, we had offered Free Registration, registration certificates at the expense of the MNCF as well as Free entries to shows for this breed. Any processing fees charged were to be kept by FKNK. The offer is still open to FKNK and any other organization that wishes to work with the MNCF to improve this breed. In spite of all that was reported, the MNCF is still willing to work with FKNK in the best interest of the breed. In the meantime, the MNCF would like to urge all owners of this breed to register their dogs at the MNCF premesis found at 5, Camelia Street Hamrun. Registrations are free of charge. These dogs may also be shown in next months Championship show to be held on the 11/12th December at the Cottonera Sports Complex. Entries for this show are currently open and will close later on next week. Entries for this show for "il-Kelb tal-Kacca ta` Malta" will also be Free of charge. More information may be obtained by calling 21234916, between 19:30 and 21:00. The Maltese National Canine Federation has recognized Il-Kelb tal-Kacca ta` Malta (Maltese Hunting Dog) as an official breed on October 2010. This means that this wonderful breed of dog that has traditionally accompanied our hunters on their hunting trips can now be officially registered and an official registration certificate can now be issued. 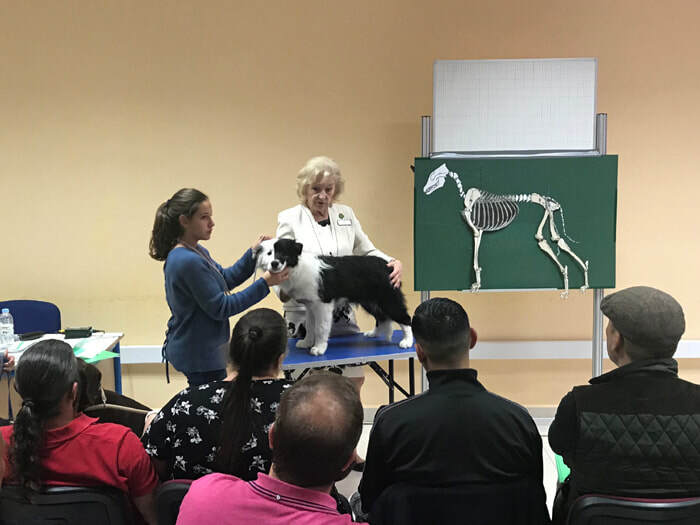 This step also means that these dogs can now be shown along side all the other breeds at dog shows organized by The Maltese National Canine Federation and its clubs and be eligible for a Champion title when they win the required amount of points. For this reason, the Maltese National Canine Federation has issued an official Breed Standard which will help judges judge this magnificent breed. Whilst this will not be the first time that these dog will be shown with one of the clubs within the Federation, it will be the first time an official registration certificate will be issued. In fact, one of the clubs within the Federation at the time called 'The Hamrun Kennel Club' and today known as 'The Malta Canine Society', had organized a number of shows for Maltese breeds with the first one taking place on April 8th, 1984. 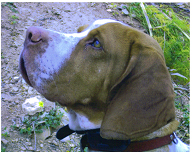 The judge on the day was Mr. Thomas E. Morell and according to the newsletter "Il-Passa" published the following month, there was a rather large number of these dogs being shown in spite of the show being organized right in the midst of the hunting season. Over the years however it seems that interest in showing these dogs was lost. One therefore hopes, that twenty six years after the very first show for these dogs was held, and following all the changes within the dog world throughout the past years, that these dogs will be registered, if anything to ensure that this breed, part of our culture and heritage does not seek to exist. For further information one may contact The Maltese National Canine Federation on: 21234916 during the club opening hours: Mondays, Wednesdays and Fridays between 19.30 and 21:00, via snail mail on the above address or via an email to the Secretary (Leeandra Mizzi) or the Federation on mncfederation@gmail.com respectively. 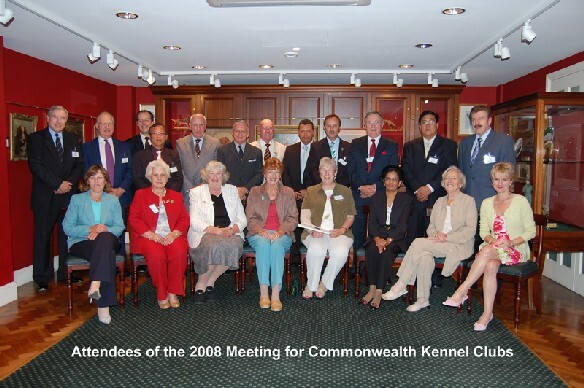 The Maltese National Canine Federation, represented by International Secretary Mr. Frank Borg and Secretary Mr. Mario Fenech, recently participated in the Meeting for Commonwealth Kennel Clubs, hosted by the Kennel Club, (U.K), in London, on the 30th June & 1st July 2008. 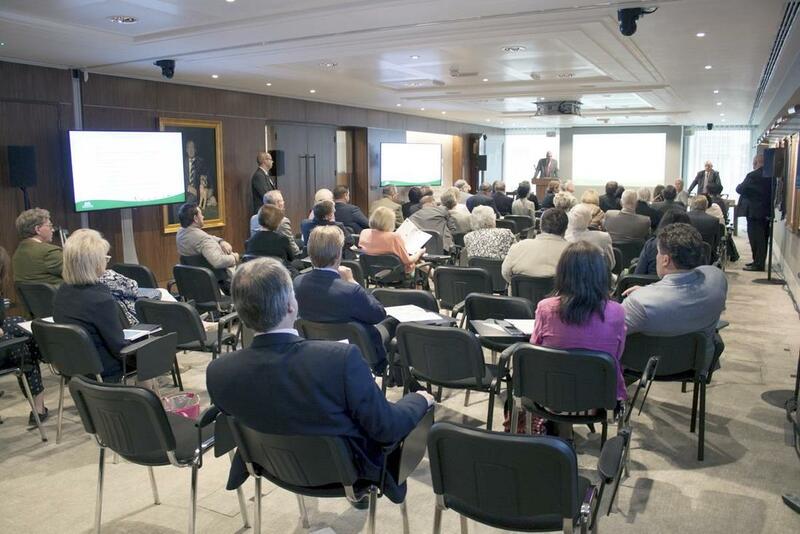 During this meeting, which was attended by Kennel Clubs representatives from Australia, New Zealand, Singapore, Jersey, Guernsey, Canada, South Africa, Malaysia, England and Malta, a vast agenda was discussed which included promotion of dogs in society, promotion of pedigree dogs, health issues, accreditation and training of dog training instructors, canine behaviourists, judges and breeders, current trends such as puppy registrations, show entries and media coverage, political issues such as the dangerous dogs legislations, anti-dog legislations, docking and the international recognition of judges. 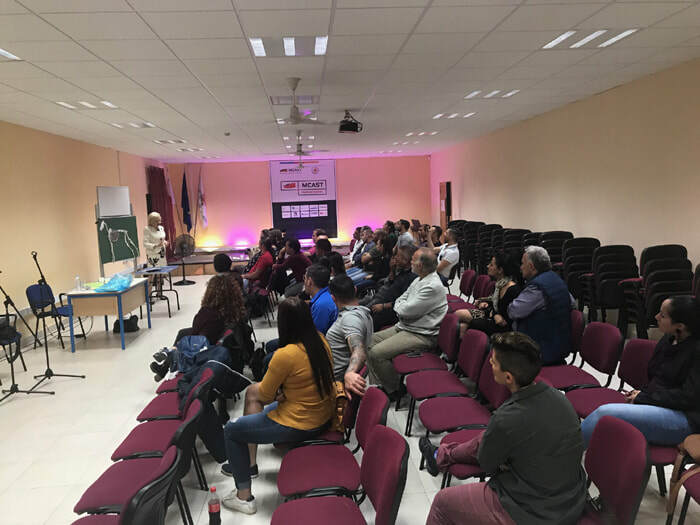 This the third meeting of its kind, with the other two held in the years 2000 and 2004, and in which The Maltese National Canine Federation was always represented. Maltese Junior places 3rd in International Junior Handling Final. Shawn Camilleri, 17, from Marsa, won 3rd place at the 2005 International Junior Handling Competition which took place at the World's greatest dog show, Crufts, on Sunday 13th March 2005, at the NEC, Birmingham, U.K.
Shawn represented Malta alongside with the other 31 Junior handlers each representing their own Country at this highly prestigious event, which Malta won on two occasions, in 2000 and 2003, and 3rd Prize in 1993 (photos below). Shawn Camilleri handled a Beagle and an Australian Shepherd in this event which was judged by Mr. Luis Pinto Teixeira from Portugal. The winner was Pia Adlesic, from Slovenia whilst Katja Rauhut from Monaco was second. Officials of the Maltese National Canine Federation, which was responsible for Malta's representation at this event, accompanied Shawn Camilleri throughout the event. In the meantime, over 24,000 dogs from across the globe competed at this year's Crufts Dog Show, organised by the Kennel Club (U.K) and officially recognized as the largest dog show in the world. Best in Show winner was the Norfolk Terrier which traveled from the United States especially to attend the show, Ch/Am.Ch. Cracknor Cause Celebre, known to all as Coco. As well as the highly prestigious Best In Show title, other hotly contested canine competitions included the Obedience World Cup Championship, with challengers from all over the World, and which was won by England for the second consecutive year. Over 120,000 people visited the show which was held over four days bewteen the 10th and 13th March 2005 at Birmingham's National Exhibition Centre.